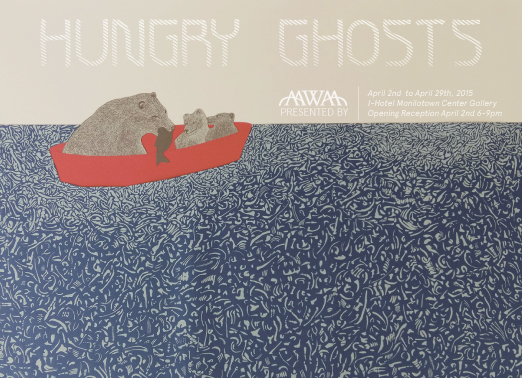 Asian American Women Artist Association (AAWAA), Asian Pacific Islander Cultural Center (APICC), and Manilatown Heritage Foundation join forces to present the multidisciplinary art exhibition Hungry Ghosts, for the 18th Annual United States of Asian America Festival opening on April 2nd, 2015 through April 29th, 2015 at the I-Hotel Manilatown Center Gallery, 868 Kearny Street, San Francisco. Situated in the historic I-Hotel, Hungry Ghosts features the work of emerging and established Asian American and Pacific Islander artists of all genders from around the country. Jumping off from the traditional concept of “Hungry Ghosts” – typically lost or unhappy spirits known as agwi (Korean), èguǐ (Chinese), gaki (Japanese), ma doi (Vietnamese), or preta (Sanskrit) – the Hungry Ghosts exhibition explores the way unresolved personal and collective struggles, often reemerging into public consciousness in overtly violent or subtle ways, continue to haunt us today. Among the works featured in the exhibition will be Juliana Kang Robinson’s meticulously rendered ink, gouache, and collage paintings of solemn bears traveling upon a sea of bones alluding to the ongoing conflict between North and South Korea. In addition to art, film, performance and literary works, Hungry Ghosts will feature a pop-up shop featuring affordable artwork by Hungry Ghosts artists and a wishing wall public art installation. Hungry Ghosts is curated by lead curator Michelle A. Lee and curatorial advisors Linda Inson Choy, Cynthia Tom, and Sigi Arnejo featuring APA artists of all genders selected by artist and social activist Elizabeth Travelslight and writer and curator Lisa Chiu. Invited artists include Korean-American painter and installation artist Juliana Kang Robinson and Chinese-American watercolor and comic artist Ka Yan Chueng. Closing reception will feature a “Block Party 1907” themed Community Potluck showcasing foods that might have been eaten in and around the I-Hotel in 1907, the year the International Hotel was built. 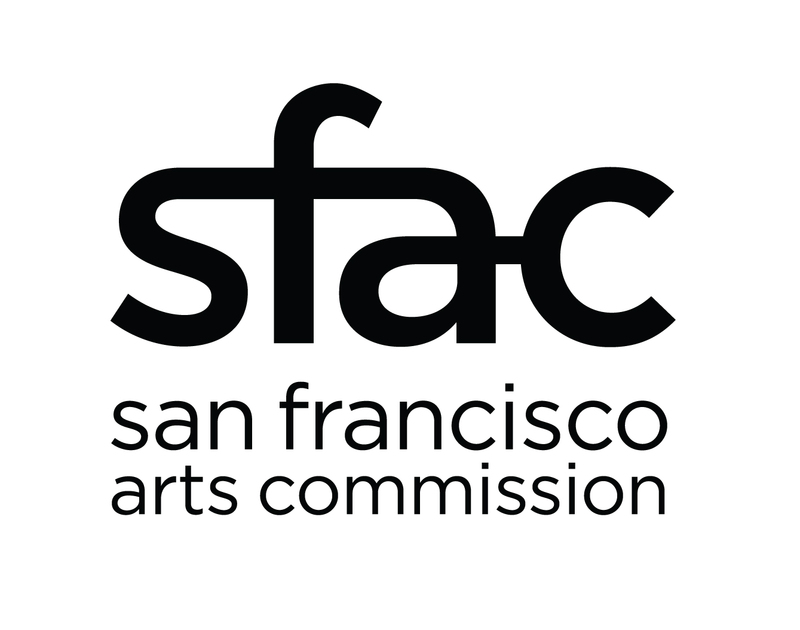 Community members of all ethnicities are encouraged to bring 1907-era, “Classic San Francisco”, and other favorite dishes to share with artists, curators, and other audience members. Admission to the exhibition is free and open to the public, with a suggested donation for the Opening and Closing Receptions. For more information please visit www.aawaa.net or email info@aawaa.net.